I have teamed up with Ryvita® and renowned fashion designer Ben de Lisi to offer my lovely followers the chance to win an amazing prize that will spruce up your kitchen! One of you lucky followers will win a hamper packed full of delicious Ryvita® products. The hamper of great tasting Ryvita goodies also includes an exciting limited edition Ryvita® tin that has been created by Ben! Ben’s bright and bold tin design reflects the exciting new changes occurring at Ryvita® as the brand moves into a fresh and dynamic new era. Ryvita® and Ben de Lisi have teamed up to create this stylish new limited edition tin this autumn to celebrate the endless tasty combinations you can enjoy with Ryvita® - anything goes! 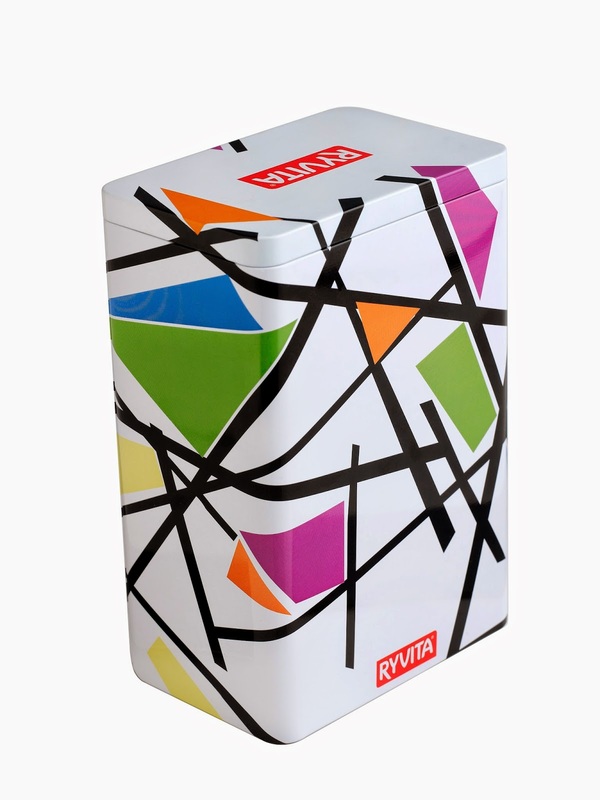 What renowned fashion designer has Ryvita teamed up with to create a limited edition tin? Yes, it's Ben de Lisi. What a character, and what a tin with character he's designed. It really 'takes the biscuit'! Ben de Lisi - I have a couple of Ryvita tins already but they are just plain one & this one is ACE!! Love it.